From left: Sarah Barthel, Garson Olivieri, Brett Larsen, and Aniela Hoffman. The Santa Barbara Bowl may be most visible when it’s packed, but its influence might be strongest when it is empty. In recent years, the Bowl’s grantmaking and community partnership side has grown into a robust and multifaceted organization that has an impact throughout Santa Barbara County. The Bowl’s Education Outreach program, or EdOut for short, offers critical funding to area groups seeking to bring performing arts opportunities to young people. Whether that’s a chance to attend a Bowl show on a subsidized ticket, to participate in a workshop run by any one of a dozen organizations such as Girls Rock S.B. and Boxtales Theatre Company, or to obtain a musical instrument and lessons on how to play it through the Bowl’s Instrument Fund, the Bowl Foundation is dedicated to enhancing the lives of young people through the performing arts. Established in 2016, the Performing Arts Teacher of the Year award has thus far gone to four of the most dynamic and deserving educators in the region. 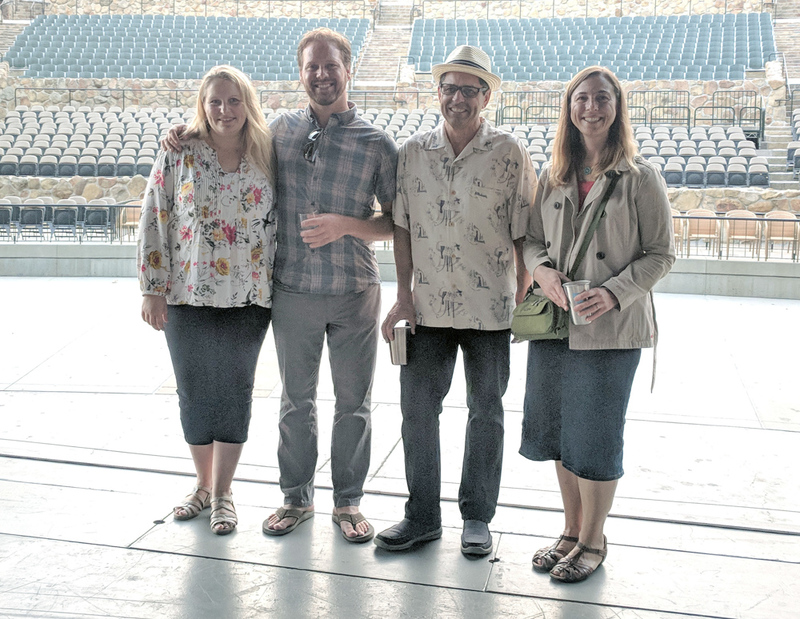 Sarah Barthel, who teaches AP Calculus as well as drama and chorus at Lompoc High School, was the first winner, and her impact there has been enormous. The 2017 awardee, Brett Larsen of Adams Elementary School in Santa Barbara, has established a program there that begins as early as kindergarten with vocal music and Orff instruction, and continues through to 4th grade, when all students at Adams have the opportunity to learn to play the violin. Larsen is also the coleader of Bravo!, the citywide orchestral music training organization. The award’s two most recent recipients operate in the North County. Garson Olivieri has transformed Cabrillo High School in Lompoc into the home of a successful marching band program. His teaching motto is in keeping with the philosophy of the entire EdOut effort, which is that “the sound has the answer, and it will tell you if you listen.” When Olivieri’s tenure as Performing Arts Teacher of the Year for 2018 ends, another young music teacher from Santa Maria, Aniela Hoffman of Arellanes Junior High, will be there to accept the baton for 2019. Hoffman, who teaches Jazz Band and Honor Band at the school, has made a specialty of encouraging talented alumni to return for jam sessions, rehearsals, and performances. It’s this kind of community building that attracts the attention of the Bowl’s committee.